I feel as if there should be a drum roll here. For the past few months, I’ve been working on a brand new collection of designs, and I’ve finally reached the point where I’m ready to share the first few pieces. 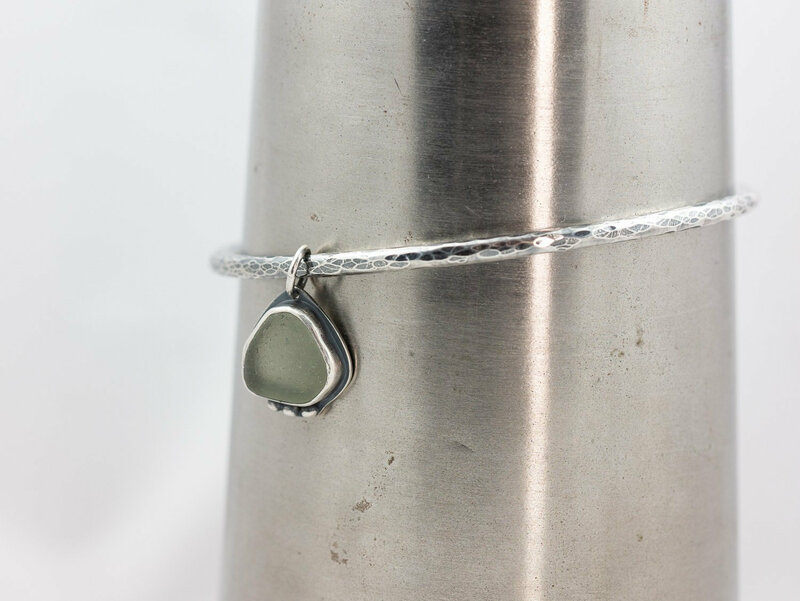 The collection is called SeaSong, and it combines my beach-combing finds with hand made sterling silver settings. I have made jewellery with silver and sea glass before, but this is the first time I’ve concentrated on making a number of pieces, and also the first time I have used pieces of pottery and beach pebbles. It’s also the first time that I have sent my jewellery for hallmarking, at the Edinburgh Assay Office. I now have my own unique hallmark, which is really thrilling. Each item in the new collection bears this tiny mark on the back. These pieces have a different look and feel from my other designs, so I’ve taken the decision to open a separate online shop, so that I can showcase them together. It’s called Seasong Jewellery, and it’s open for business now. I’ll gradually be adding more pieces, but do take a look at what’s there so far. Rest assured, my Bilberry and Birch shop is still going strong. I’m working on some new Spring designs at the moment, and the first of these will be appearing very soon. Beautiful — each and every one. They are lovely. Best wishes for your new shop. Thank you 😊 it’s quite nerve wracking putting new designs out there in the world! You have nothing to fear – they are beautiful! Wow, these are stunning! Water green is my fetish colour of the moment. Will definitely be checking out your shop again soon.